Jacques Maritain (November 18, 1882 – April 28, 1973) was a French Catholic philosopher. He converted to Catholicism and is the author of more than 60 books on a wide variety of philosophical subjects ranging from the philosophy of nature to metaphysics to aesthetics. Maritain was one of the foremost figures in the twentieth century revival of St. Thomas Aquinas. Maritain associated not only with other professional philosophers but also with poets, painters, priests, and political activists. His friends ranged from Pope Paul VI to the radical political organizer Saul Alinsky. Maritain's early upbringing and education at the Sorbonne led him to the position of scientific materialism. Later Henri Bergson opened his eyes to an intuition of being and so the possibility of metaphysics. In 1906 Maritain became a Catholic and turned to the study of Thomas Aquinas. Maritain tried to develop a Thomistic metaphysics that challenged materialism without falling into Bergsonian irrationalism. This involved the attempt to establish a theistic system of thought where diverse kinds of knowledge, including the empirical sciences, metaphysics, ethics, and mysticism, are all unified by the intellect and yet diversified by the specific mode, method, or degree of knowledge. Thus, Maritain's great epistemological work Degrees of Knowledge was also originally entitled Distinguer Pour Unir or Distinguish to Unite. Finally, the scope of Maritain's thought also encompassed social political theory, aesthetics, and philosophy of the person. The best thing I owe to my studies at that time (at the Sorbonne) is that they enabled me to meet, in the Faculty of Sciences, the one who since then has always, happily for me, been at my side in a perfect and blessed communion. At the Sorbonne, Maritain soon became disenchanted with natural science, for it could not address the larger existential issues of life. In light of this disillusionment Jacques and Raïssa made a pact to commit suicide together if they could not discover some deeper insight into life’s meaning. Fortunately, they were spared from following through with this pact, for shortly thereafter, at the urging of Charles Peguy, they attended the lectures of Henri Bergson at the Collège de France. Along with his critique of scientism, Bergson’s doctrine of intuition instilled in them "the sense of the absolute". Later, in 1906, through the influence of the novelist Léon Bloy, they converted to the Roman Catholic faith. Thenceforth, in affirming to myself, without chicanery or diminunition, the authentic value of the reality of our human instruments of knowledge, I was already a Thomist without knowing it…When several months later I came to the Summa Theologiae, I would construct no impediment to its luminous flood. From St. Thomas or the “Angelic Doctor,” Maritain was led to Aristotle or "the Philosopher" as Aquinas christened him. Still later to further his intellectual development, Maritain read other Schoolmen and neo-scholastics, in particular John of St. Thomas. From 1912-1917 Maritain taught at the Collège Stanislas, Institut Catholique de Paris, and Petit Séminaire de Versailles. In 1933, he gave his first lectures in North America in Toronto at the Pontifical Institute of Mediaeval Studies. He also taught at Columbia University, the Committee on Social Thought at the University of Chicago, University of Notre Dame, and Princeton University. From 1945 to 1948, he was the French ambassador to the Vatican. Afterwards, he returned to Princeton University where he achieved the "Elysian status" (as he puts it) as a professor emeritus in 1956. From 1961, Maritain lived with the Little Brothers of Jesus in Toulouse, France. He long had had an influence in the order since its foundation in 1933, and eventually he became a Little Brother in 1970. 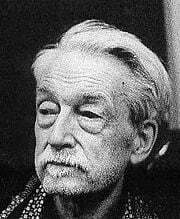 Jacques Maritain died in Toulouse on April 28, 1973. He and Raïssa are buried in the cemetery of Kolbsheim, a little French village where they had spent many summers. The foundation of Maritain’s thought is Aristotle, St. Thomas and the Thomistic commentators, especially John of St. Thomas. Maritain is known for his original use of these sources and his way of engaging them with contemporary theories. Overall Maritain’s philosophy is founded upon evidence which is acquired first by the senses and secondly by an understanding of first principles (metaphysics). Fundamentally, Maritain is a metaphysician who defended philosophy as a science against those who would degrade it. Thus, he promoted philosophy as the “Queen of the Sciences.” Although throughout his career Maritain held fast to the truth of the Thomistic doctrine, the early influence of Bergson also remained with him as he developed his own “neo-Thomist” or “existential Thomist” perspective. Moreover, Maritain was in frequent dialogue with the philosophical movements of his day in areas such as art, politics, and ethics. In 1910, Maritain completed his first contribution to modern philosophy, an article entitled "Reason and Modern Science" published in Revue de Philosophie (June issue). In the article, he warned that science was becoming a divinity and its methodology was usurping the role of reason and philosophy; in turn, science was supplanting the humanities in importance. In 1913 his first book, Bergsonian Philosophy and Thomism, was published. In the book Maritain rigorously critiques his early mentor Bergson from the Thomistic perspective of his newfound master. It was followed by his second work, Art and Scholasticism, in 1920. (I)f the philosophy of Aristotle, as revived and enriched by St. Thomas and his school, may rightly be called the Christian philosophy, both because the church is never weary of putting it forward as the only true philosophy and because it harmonizes perfectly with the truths of faith, nevertheless it is not proposed here for the reader's acceptance because it is Christian, but because it is demonstrably true. This agreement between a philosophic system founded by a pagan and the dogmas of revelation is no doubt an external sign, an extra-philosophic guarantee of its truth; but it is not from its agreement with the Faith, but from its own rational evidence, that it derives its authority as a philosophy. Up to and during World War II, Maritain protested the policies of the Vichy government while teaching at the Pontifical Institute for Medieval Studies in Canada. In New York, Maritain was involved in rescue activities, helping to bring intellectuals to America, many of them Jews. After the war, he encouraged the pope to speak on the issue of anti-Semitism and the evils of the Holocaust. In 1945 Maritain participated in drafting the United Nations Universal Declaration of Human Rights in San Francisco. Many of Maritain’s papers are held by the University of Notre Dame, which established The Jacques Maritain Center in 1957. The Cercle d'Etudes Jacques & Raïssa Maritain is an association founded by the philosopher himself in 1962 in Kolbsheim (near Strasbourg, France). These centers are dedicated to the study, research, translation, and expansion of Maritain’s thought. It is being, attained or perceived at the summit of an abstractive intellection, of an eidetic or intensive visualization which owes its purity and power of illumination only to the fact that the intellect, one day, was stirred to its depths and trans-illuminated by the impact of the act of existing apprehended in things, and because it was quickened to the point of receiving this act, or hearkening to it, within itself, in the intelligible and super-intelligible integrity of the tone particular to it. Since the mind, from the very start, reveals itself as warranted in its certitude by things and measured by an esse independent of itself, how are we to judge if, how, on what conditions, and to what extent it is so both in principle and in the various moments of knowledge?" Maritain is critical of the idealism of Descartes, Kant, and much of modern philosophy. For him these philosophies inevitably end up in contradictions since they do not recognize the universal scope of the first principles of identity, contradiction, and finality. In idealism, these principles, which for Maritain are rooted in reality, become merely laws of thought or language, but not of being; thus, these philosophies open the way to contradictions being instantiated in reality. Maritain’s “existential epistemology” also expanded St. Thomas’s notion of connaturality or knowledge by inclination. Here the intellect knows not through abstract concepts but in conjunction with the emotions, will, or appetites. St. Thomas used this theory to explain the possibility of the mystical knowledge of God. Maritain expanded the theory so as to include knowledge not only in the domain of mysticism (both natural and supernatural), but also in the domains of art and ethics. Finally, Maritain’s political thought and philosophy of the person has had a significant and lasting impact, particularly in America. His most important works in English. Art and Scholasticism and The Frontiers of Poetry, tr. Joseph W. Evans (New York: Charles Scribner’s Sons, 1962). Bergsonian Philosophy and Thomism, tr. Mabelled L. Andison (New York: Greenwood Press, 1968). Creative Intuition in Art and Poetry (Princeton, NJ: Princeton University Press, 1953). Christianity and Democracy ( London: Geoffrey Bles, 1945). Distinguish to Unite or The Degrees of Knowledge, tr. Gerald B. Phelan (Indiana: University of Notre Dame Press, 1995). Existence and the Existent, An Essay on Christian Existentialism, tr. Lewis Galantiere and Gerald B. Phelan, (Garden City, NY: Image Books, 1956). Integral Humanism (New York: Charles Scribner’s Sons, 1938). An Introduction to Philosophy, tr. E. I. Watkin (New York: Sheed and Ward, 1937). Man and The State, (Chicago: University of Chicago Press, 1951). Moral Philosophy: An Historical and Critical Survey of the Great Systems, Marshall Suther (New York: Philosophical Library, 1964). The Person and the Common Good, tr. J. J. Fitzgerald (London: Geoffrey Bless, 1948). The Peasant of the Garonne, tr. Michael Cuddihy and Elizabeth Hughes (New York: Holt, Rinehart and Winston, 1968). Philosophy of Nature, tr. Imelda C. Byrne (New York: Philosophical Library, 1951). A Preface to Metaphysics: Seven Lectures on Being, (New York: Sheed and Ward, 1939). The Range of Reason (New York: Charles Scribner’s Sons, 1952). Redeeming the Time (London: Geoffrey Bles, 1943). Reflections on America (New York: Charles Scribner’s Sons, 1958). Science and Wisdom, tr. B. Wall (New York: Charles Scribner’s Sons, 1940). The Situation of Poetry, tr. Marshall Suther (New York: Philosophical Library, 1955). Untrammeled Approaches, tr. Bernard Doering (Indiana: University of Notre Dame Press, 1997). Jacques Maritain: An Intellectual Profile, Jude P. Dougherty (Washington DC: Catholic University Press, 2003). Jacques Maritain and the Many Ways of Knowing, ed. Douglas A. Ollivant (Washington DC: Catholic University Press, 2002). Mysticism, Metaphysics, and Maritain, James Arraj (Chiloquin, OR: Inner Growth Books, 1993). Art and Prudence: Studies in the Thought of Jacques Maritain, Ralph McInerny (Indiana: University of Notre Dame Press, 1988). Jacques Maritain: The Man and His Metaphysics, ed. John F. X. Knasas (Indiana: American Maritain Association, 1988). Understanding Maritain: Philosoher and Friend, ed. Deal W. Hudson and Matthew J. Mancini (Macon, GA: Mercer University Press, 1987). Catholic Encyclopaedia Vol XVI Supplement 1967–1974, J.W. Evans. Introduction to Philosophy, Stephen J. Vicchio. “The Ambassador & The Pope; Pius XII, Jacques Maritain & the Jews,” Michael R. Marrus, Commonweal, Oct. 22, 2004. Jacques Maritain: The Man and His Achievement, ed. J. W. Evans (New York: Sheed and Ward, 1963). The Philosophy of Jacques Maritain (C. A. Fecher, Westminister, M.D., 1963). The Achievement of Jacques and Raïssa Maritain: A Bibliography, 1906–1961 by D. and I. Gallagher (New York: Doubleday, 1962). Jacques Maritain by G. B. Phelan (New York, 1937). This page was last modified on 14 March 2018, at 20:24.